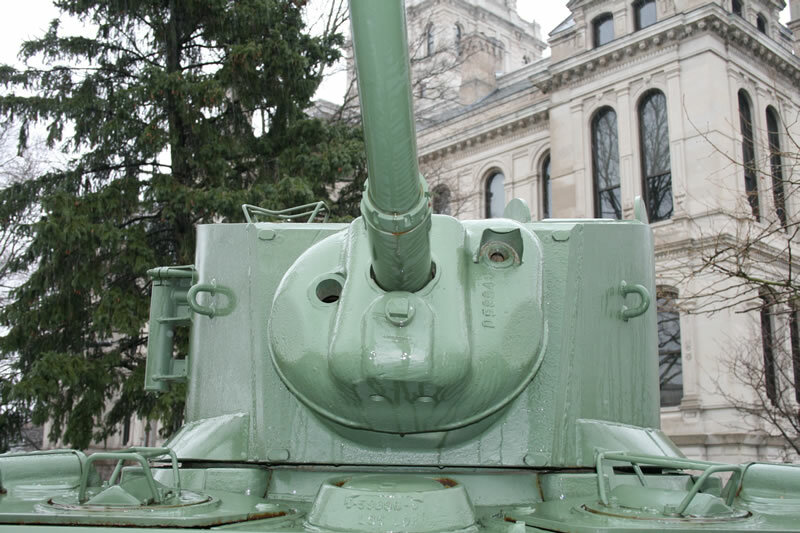 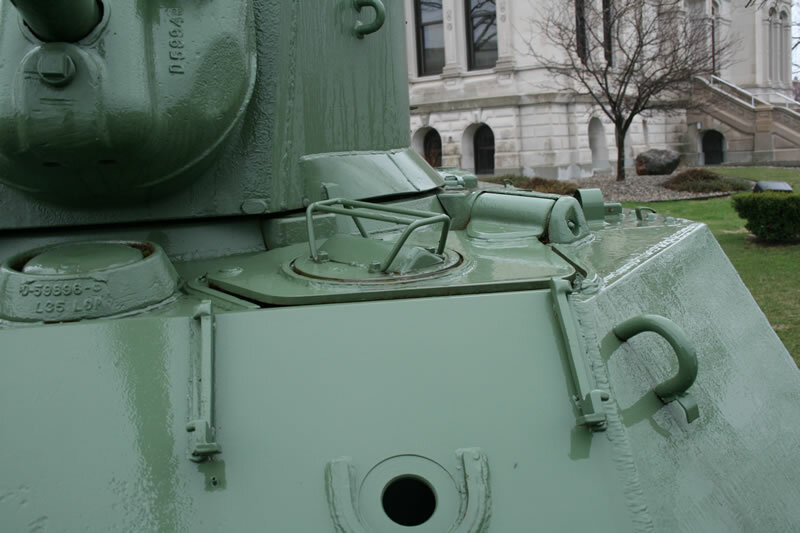 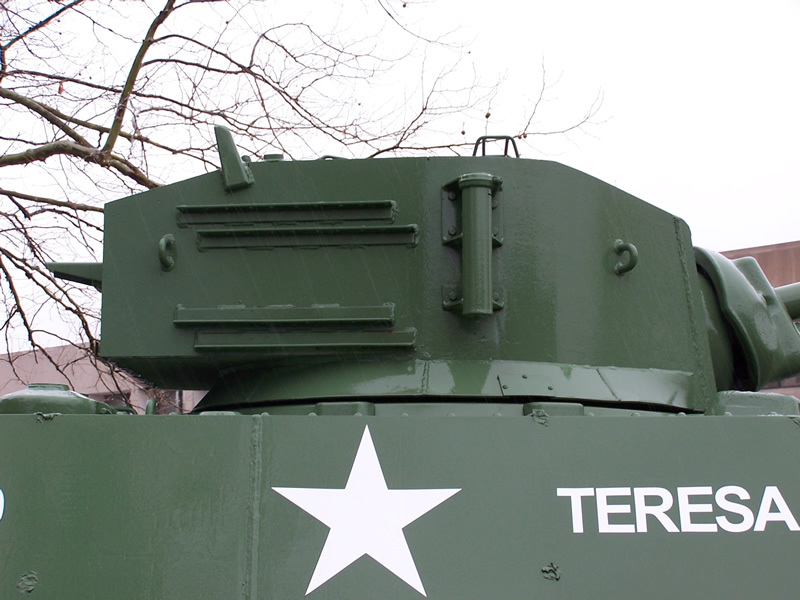 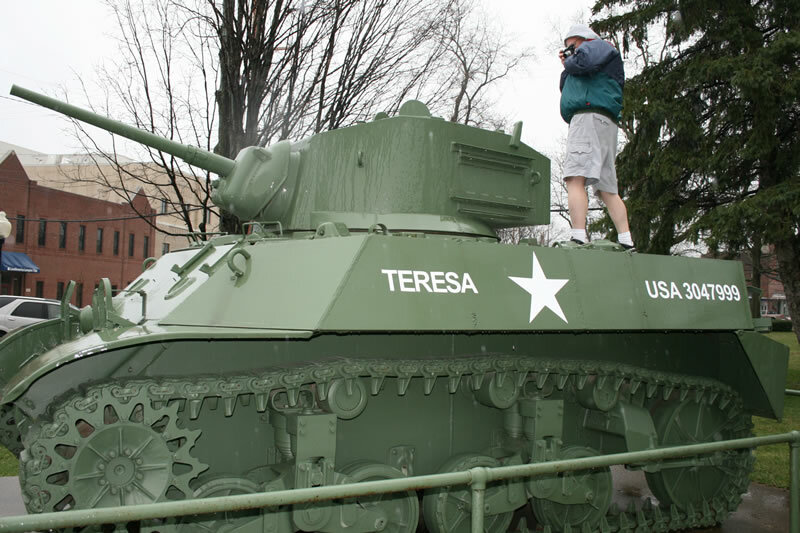 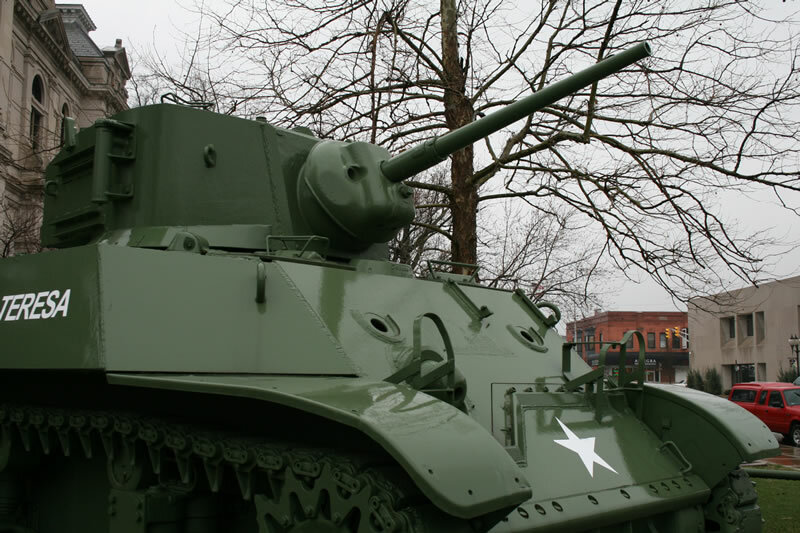 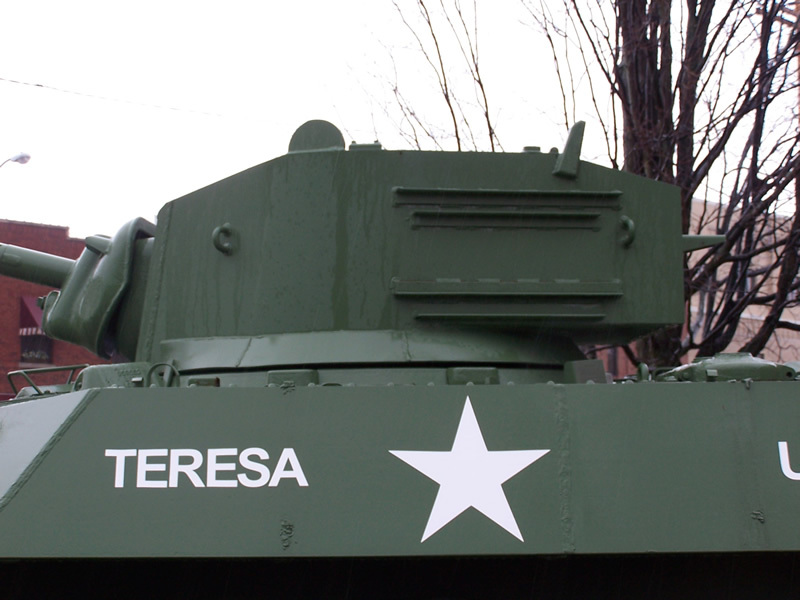 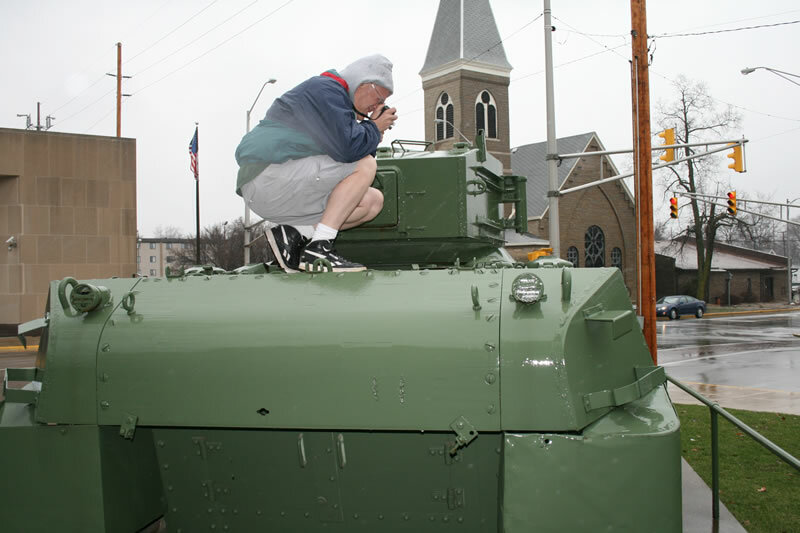 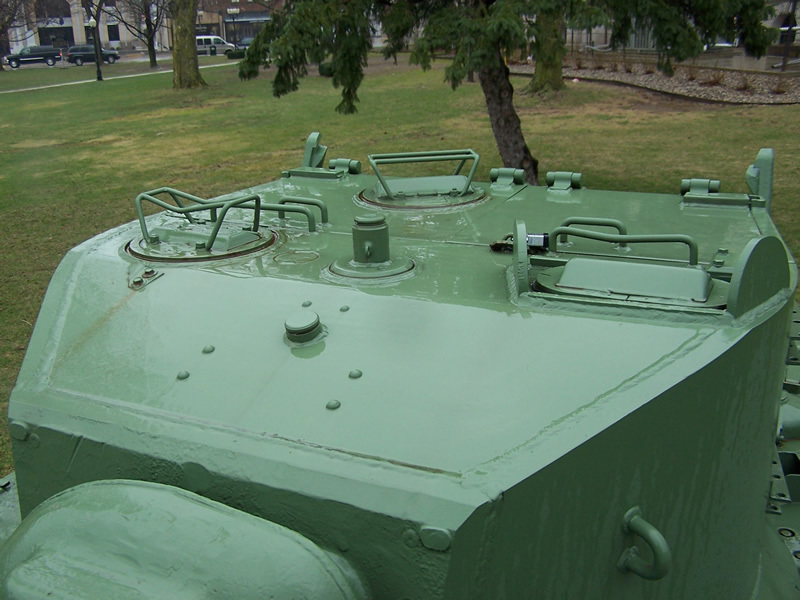 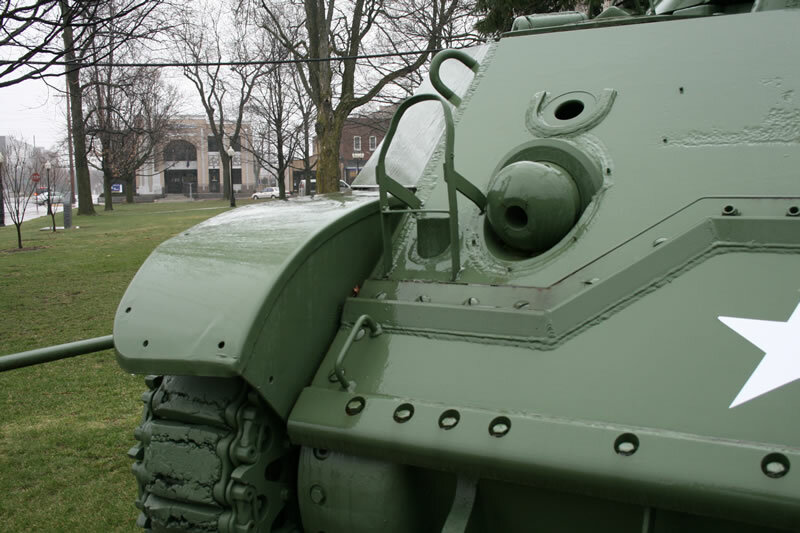 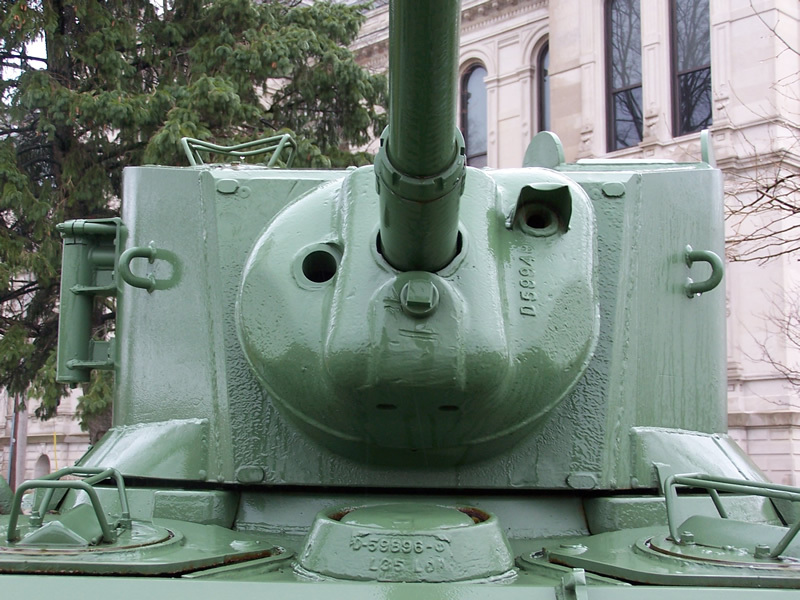 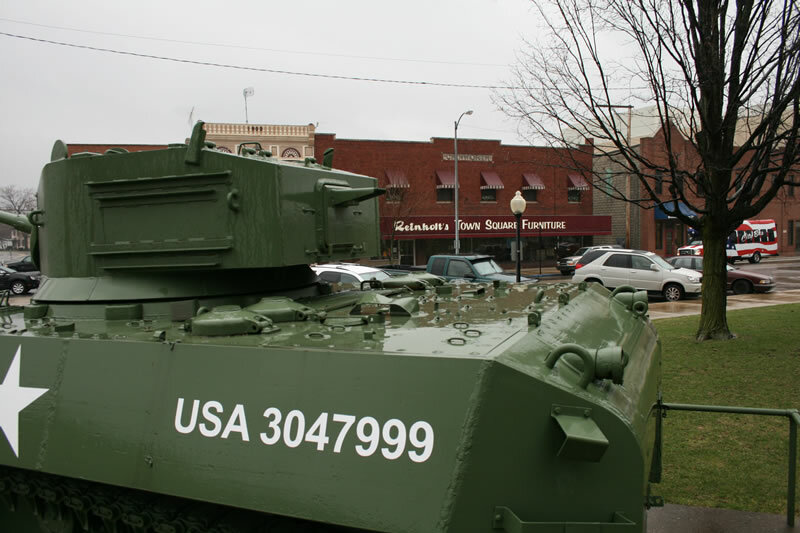 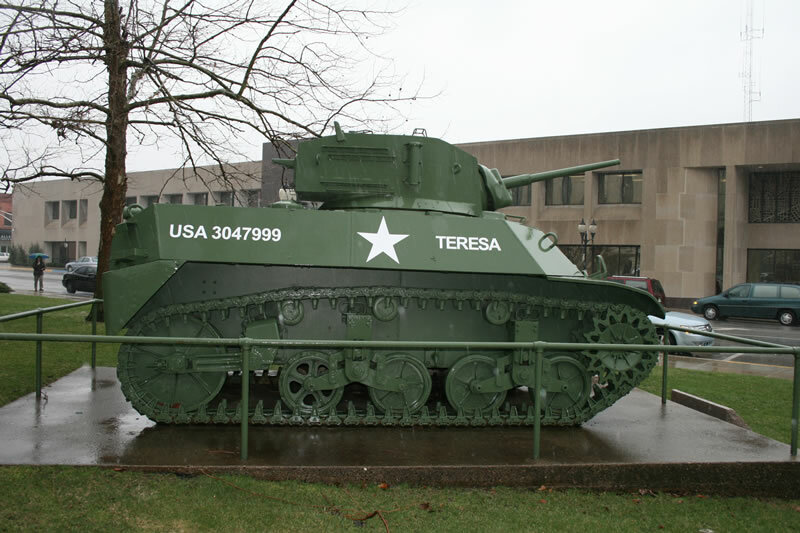 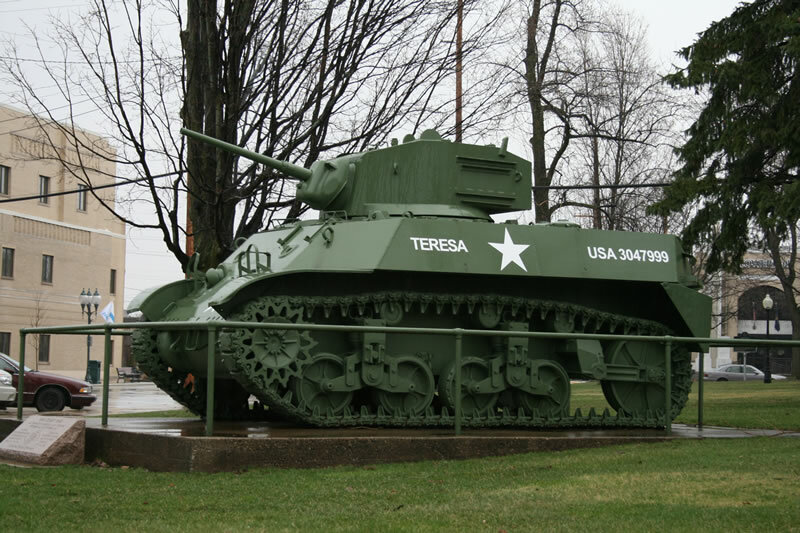 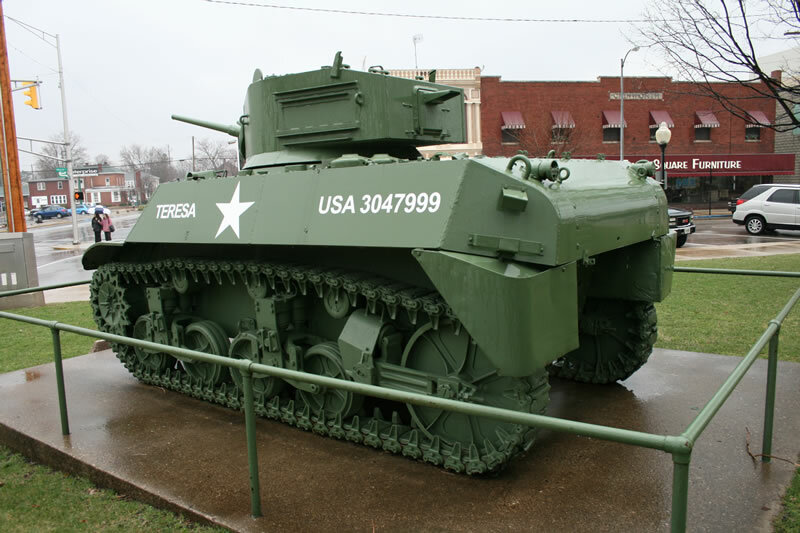 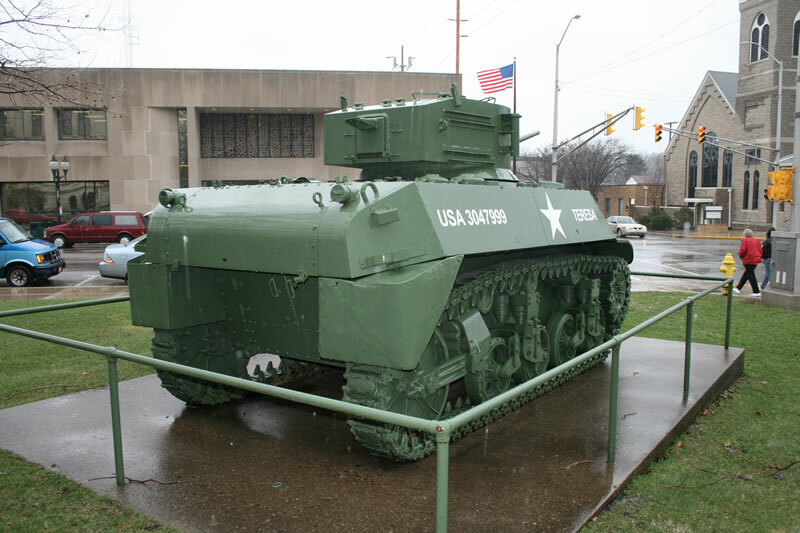 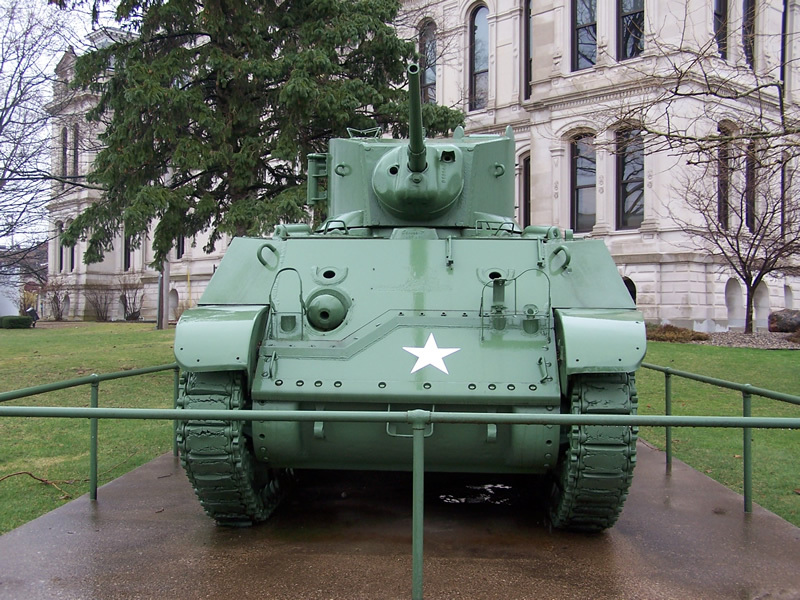 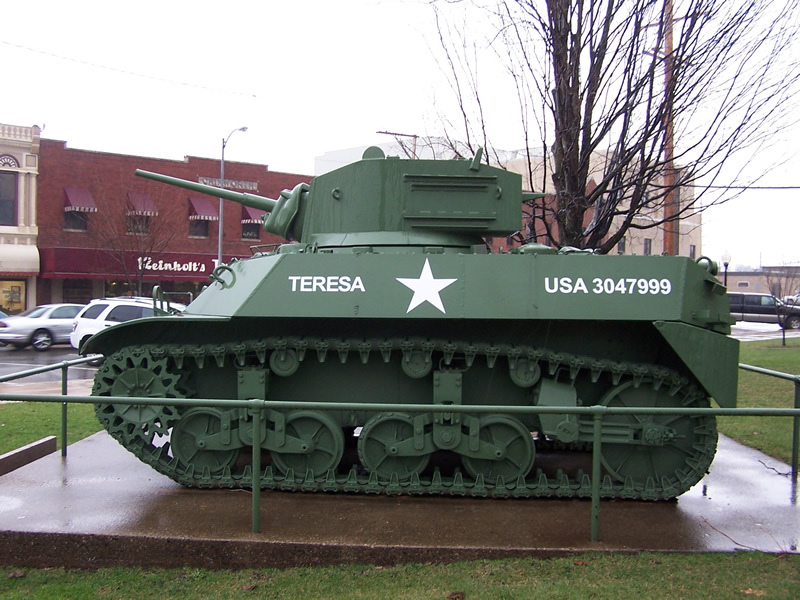 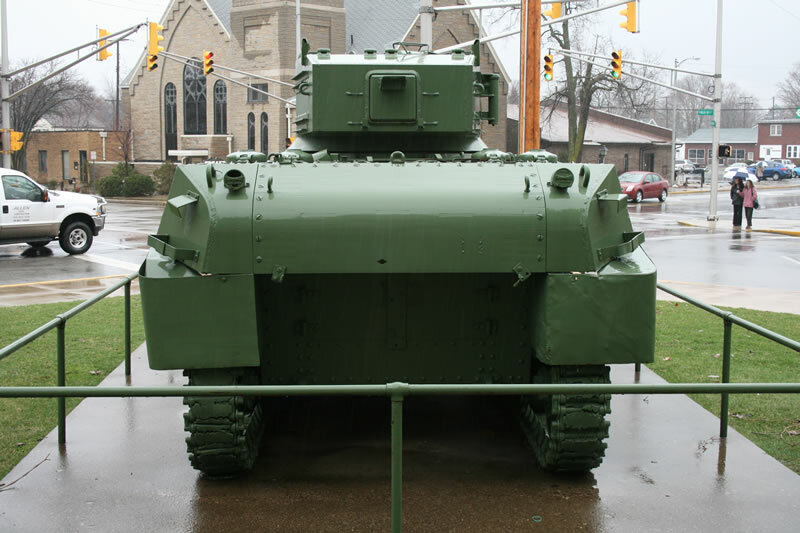 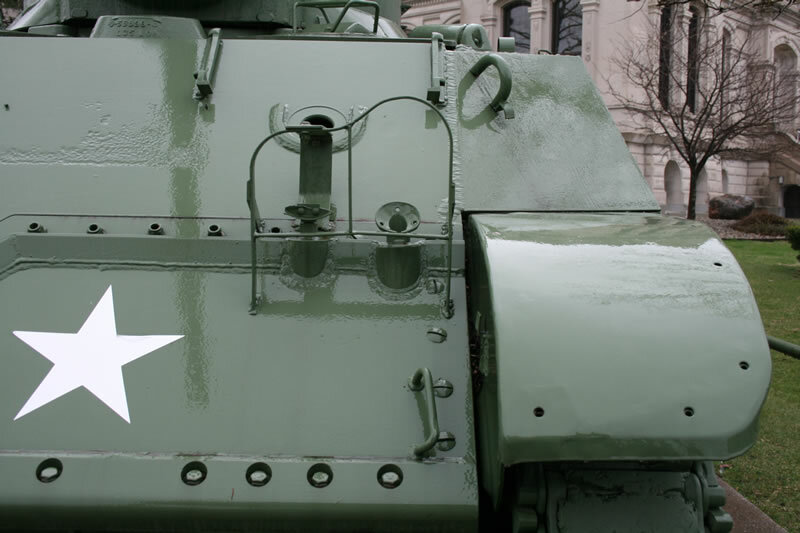 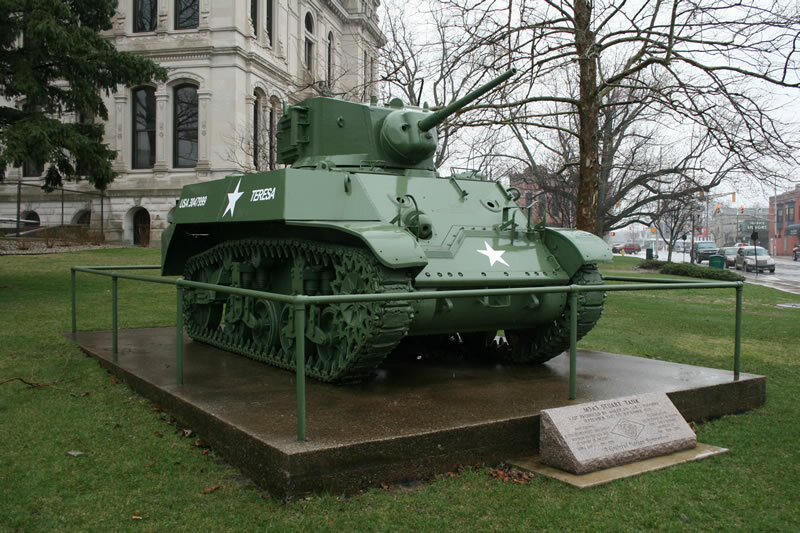 This Stuart, sitting in front of the Warsaw, Indiana, courthouse, was photographed by Kurt Laughlin and myself on a tank hunting expedition during the 2008 AMPS International in nearby Auburn. 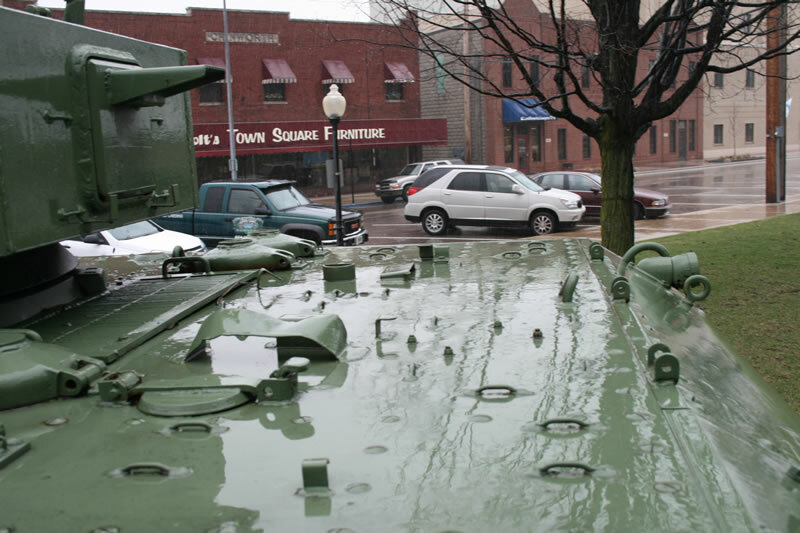 It was a cold, rainy day, and it seemed the closer we got to our targets, the harder it rained. 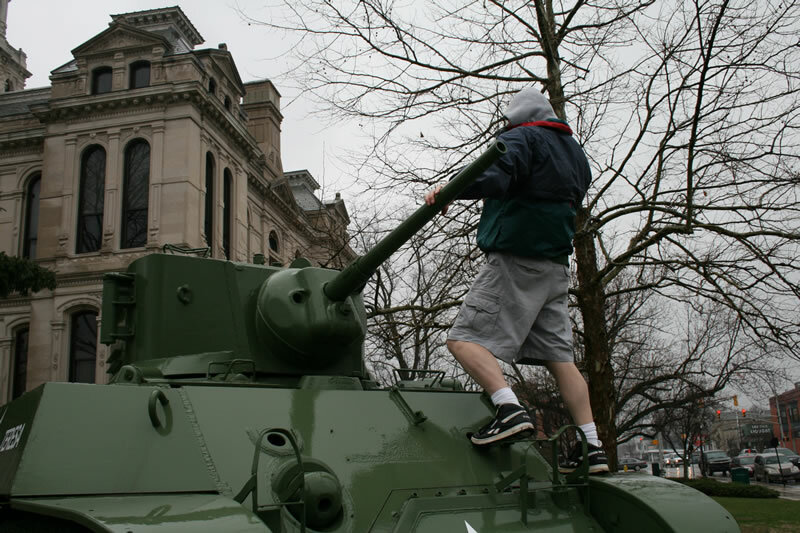 Kurt, being the more limber of the two of us, is atop the tank. 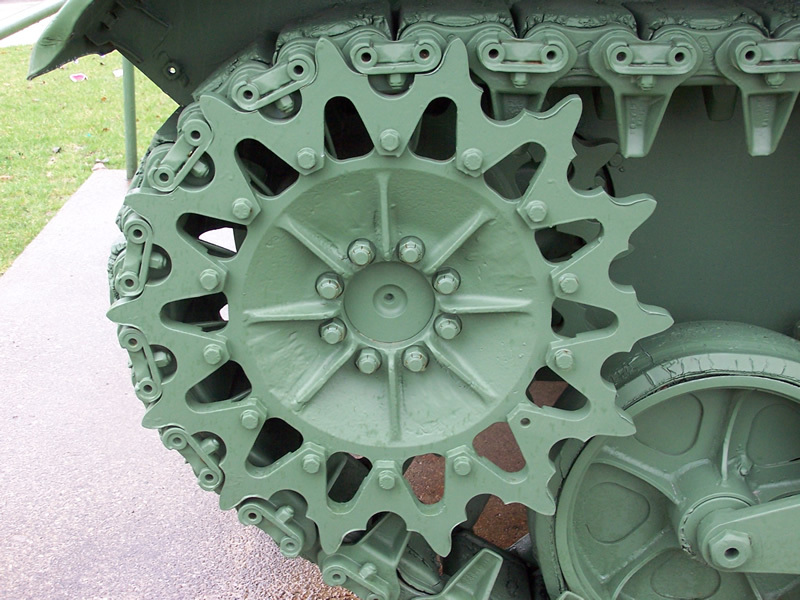 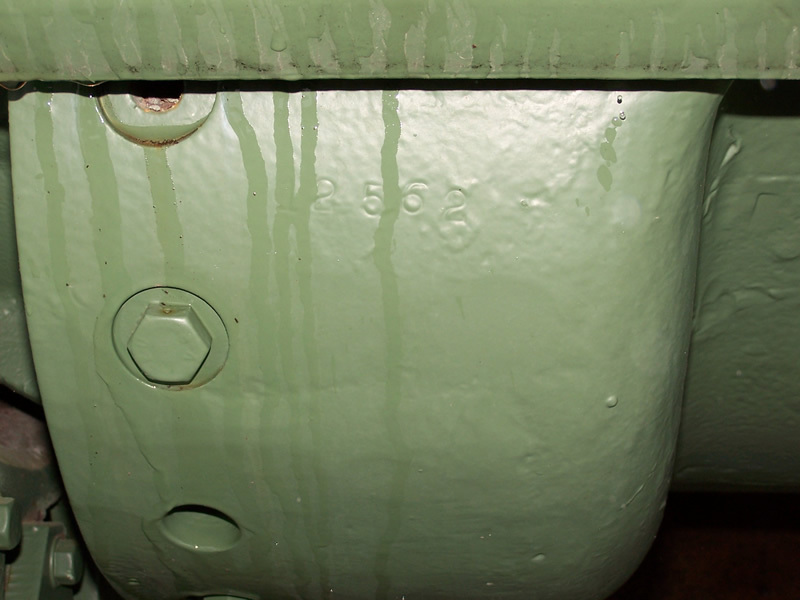 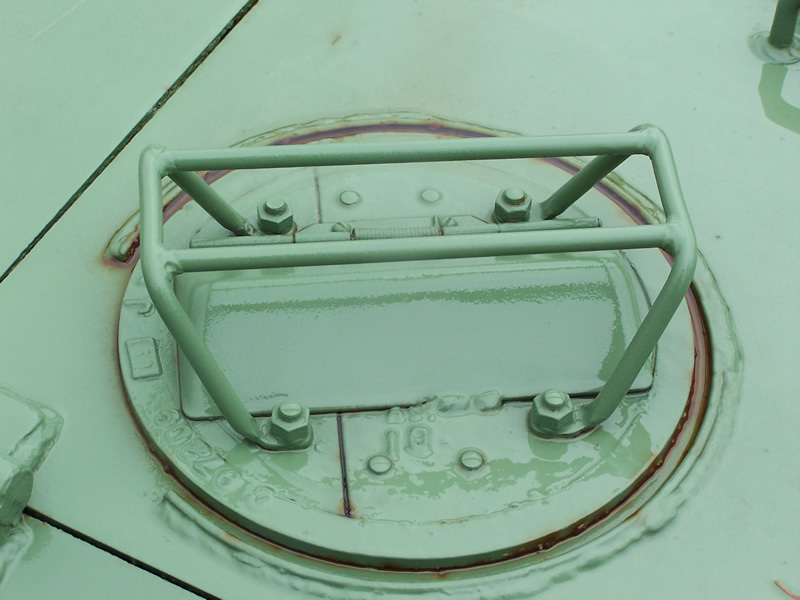 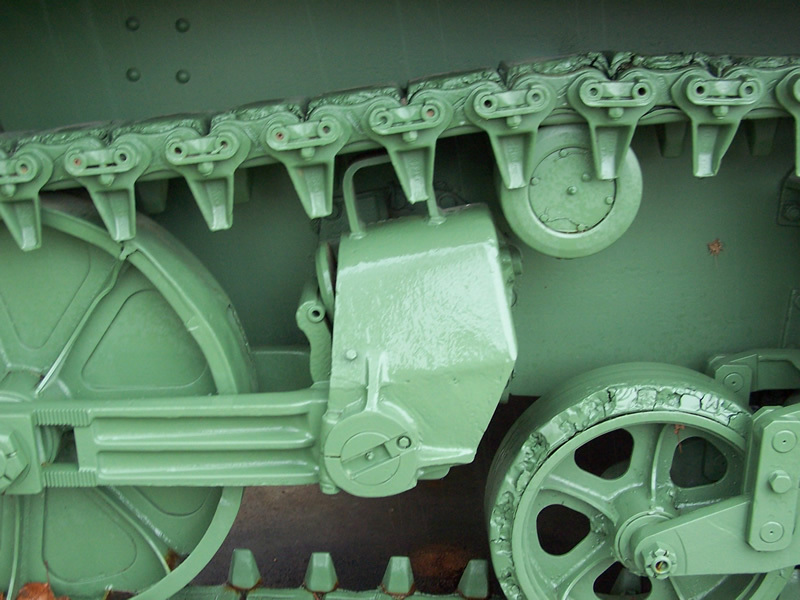 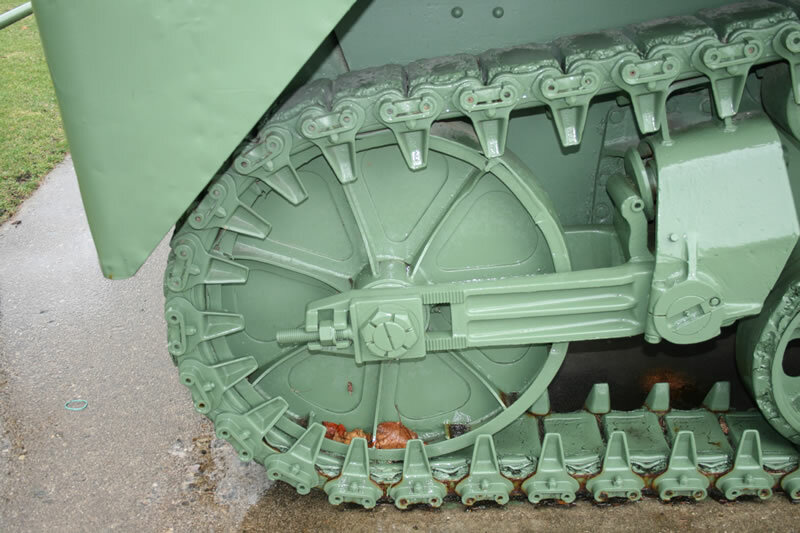 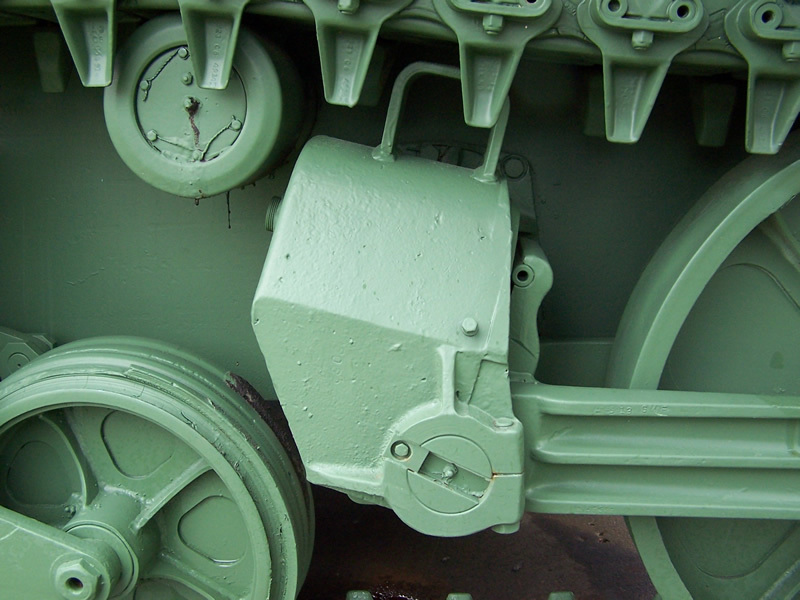 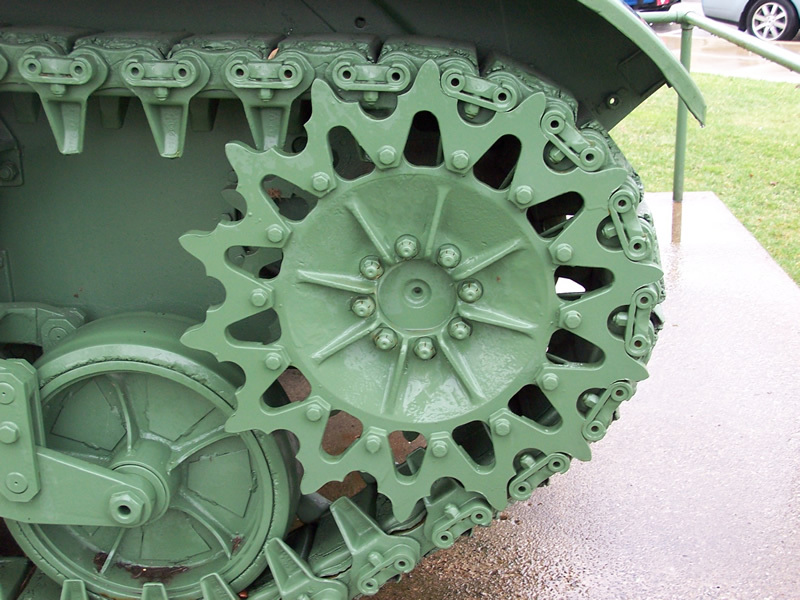 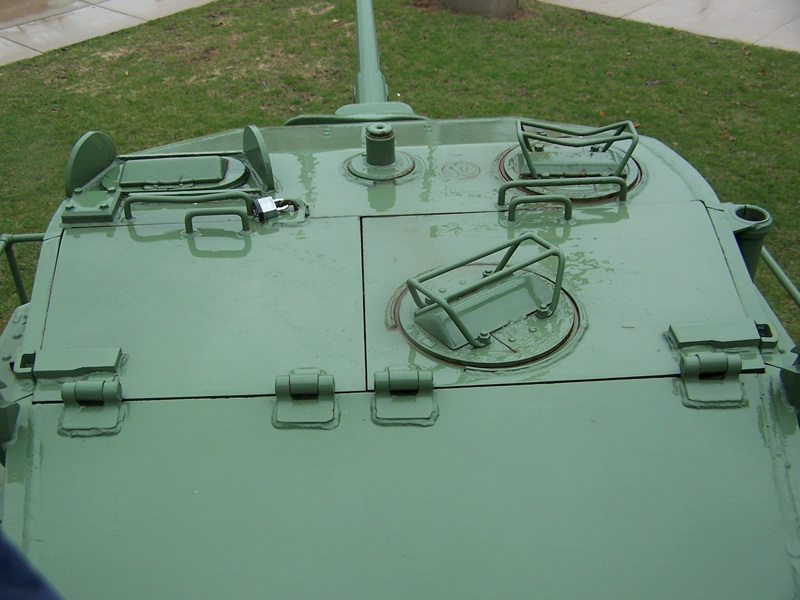 This tank is serial number 12562. 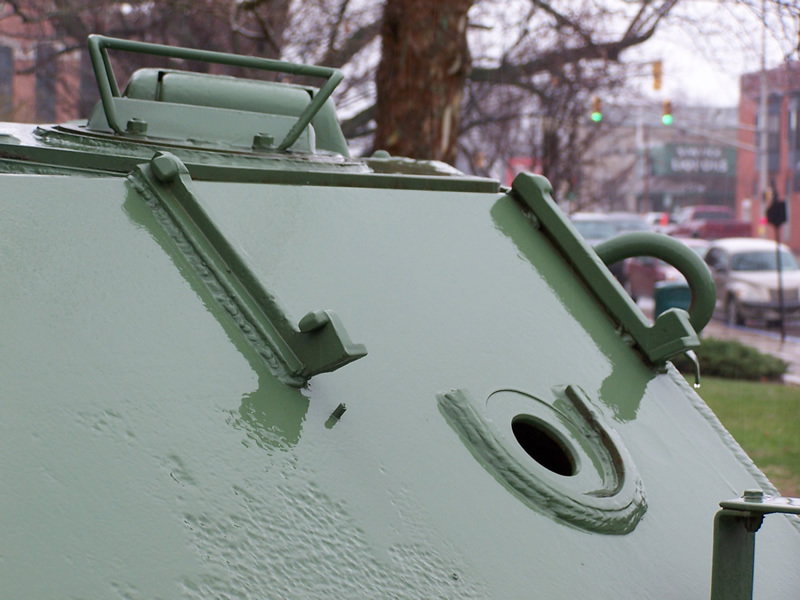 According to Kurt's research, the registration number painted on the hull sides is incorrect. 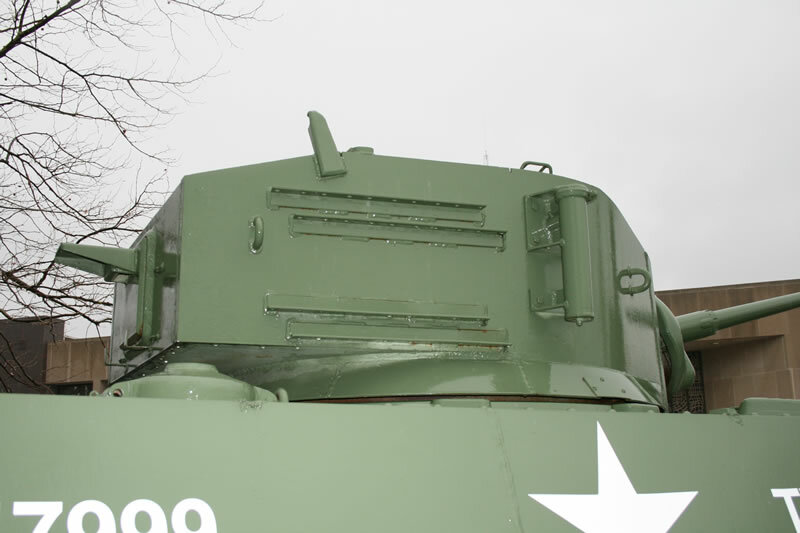 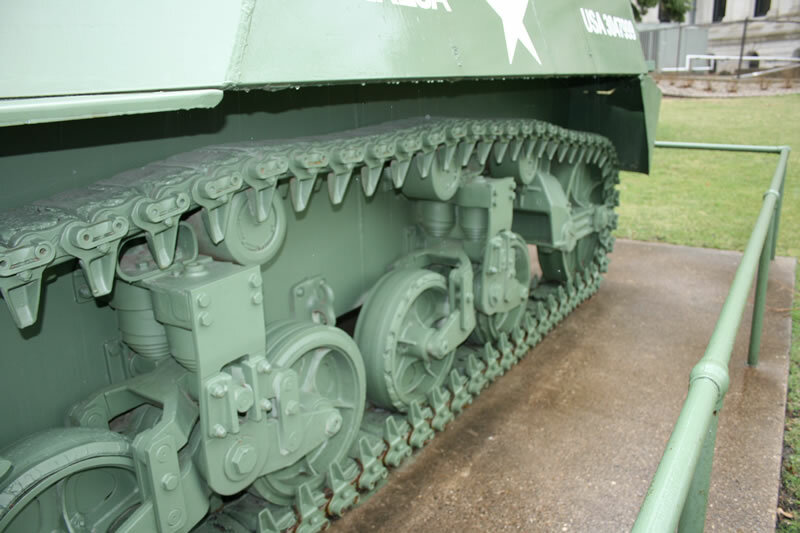 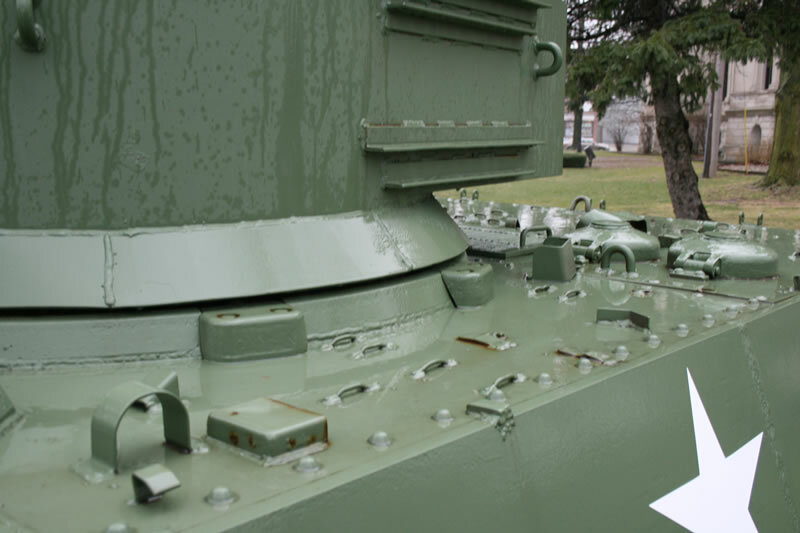 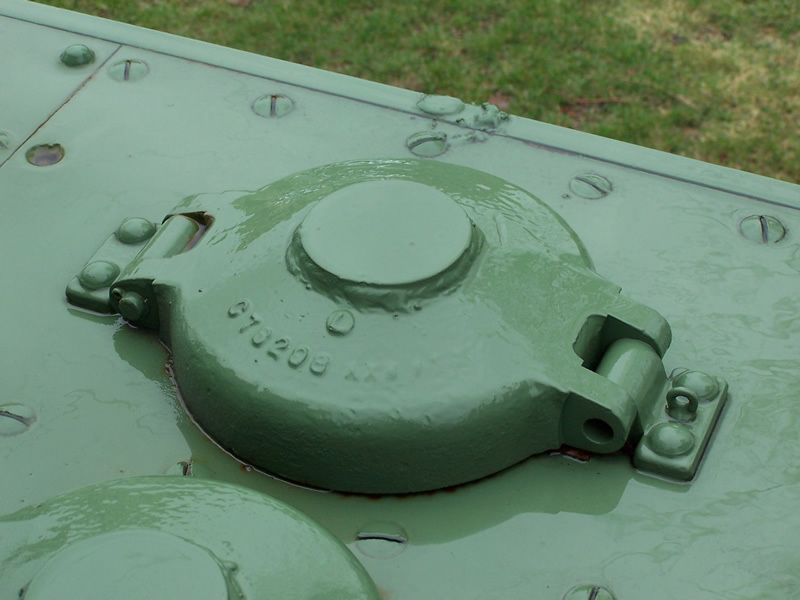 There are some notable differences between the seemingly similar turrets of the M3A3 and the M5A1 that Kurt explains in his review of the AFV Club M5A1 Stuart.